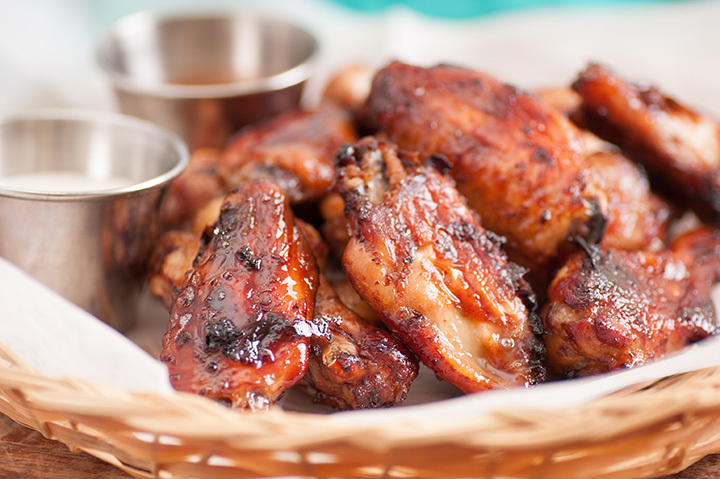 The 9 Best Spots for Wings in Utah! Chicken wings shouldn’t be reserved for Super Bowl Sunday. Finger-licking, addicting, and satisfying, the wing is way more versatile than we give it credit. That said, it can be difficult to know where to buy good wings. This is especially true in Utah. Here are the nine best places to get delicious wings in the state! There are so many ways to prepare and eat chicken, but the Wing Coop has obsessed over perfecting the chicken wing. The chicken is fresh, the sauces are diverse (think “Honey Habanero,” “Raspberry Chipotle,” and “Loco Lime”) and the addiction is real. Located in an unassuming strip mall, the Rocky Mountain Wingshak lets you watch sports and hang out with friends all the while eating some delicious wings. Possible orders range from five to 100 pieces, but no matter how many wings you can eat, make sure you try one of their delicious, starchy sides. Although the chicken wing is not Rocco’s Big Deli’s namesake, most would say it’s the deli’s best kept secret. With rotisserie style, breaded chicken wings that are deep fried before they are covered in finger-licking sauce, you’ll feel satisfied, albeit a bit unhealthy. All things in moderation, right? Started 17 years ago, Trolley Wing Co. is now located in Sugar House. With a social, bar-esque atmosphere, Trolley’s is a place you can expect to eat and socialize. If your friend wants to join but is vegan, never fear: The restaurant serves up vegan and vegetarian substitutes. While the best of frozen wings aren’t too bad, can you imagine cherry wood smoked wings dipped in ranch or blue cheese dressing? Even though SugarHouse BBQ’s wing options are few, variety is completely unnecessary here. They’re simply among the very best! R&R BBQ sells their wings either smoked or deep-fried, and then allows you to add the sauce. This gives the eater a bit more autonomy in their order, which can be nice for those who want to mix sauces or eat a variety without making multiple orders. If you choose the “Friggen Hot” sauce, you’ll probably also want to buy some cooling potato salad. Wingstop is the perfect place if you want to stock up for a picnic. Buy a combo or family pack and you’ve got yourself a quick and delicious summertime party. Located within Westgate Park City Resort, Draft’s Sports Bar & Grill pairs alcohol with a selection of standard grub. Of course, this includes chicken wings, among burgers, pizzas, and other classic American appetizers. The restaurant feels a bit like a gentleman’s club, “gourmet hot wings” and all. Featured on Guy Fieri’s TV show “Diners, Drive-ins, and Dives,” the Tin Roof Grill in Sandy is well known for its cheesecake, croquets, and wings. With only one wing-related menu option (eight large, smoked barbeque or buffalo wings), the restaurant still manages to keep wing lovers coming back for more.